This past weekend, my family and I headed down to Wildwood Crest for my aunt's Bridal Shower/Beach Party. If you ask me, a party just isn't a 'party' without a fabulous cake to celebrate the occasion. So, I made my way to the kitchen and began brainstorming. 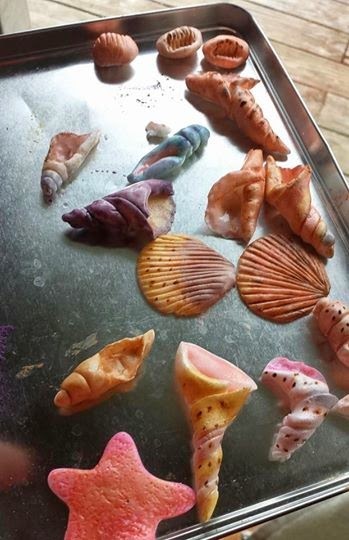 I've always wanted to make fondant seashells but literally had no clue as to where to begin. Recently, I saw a few fondant seashells for sale at my local cake decorating store, and I was tempted to go back and purchase some. But, since I had plenty of fondant stored away, some time to kill, and an artistic vision, I hit up the internet and got to browsing. As expected I found hundreds of close-up seashell images. 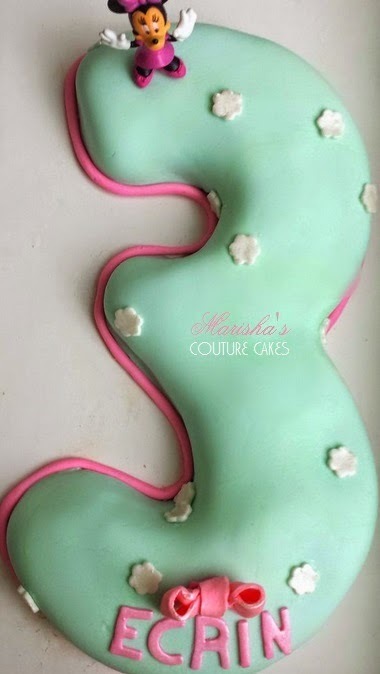 As I started molding, I realized that for the majority of seashell shapes, the trick is to twist the fondant or create a curl, leaving a bit of a tail in order to create a bowl-like shape. My Wilton gumpaste tools really came in handy for these. I did have a few mishaps and mess ups, but that was to be expected since it was my first time. Once you get the hang of the rolling, twisting, and sculpting, you pretty much have it down. Of course, the easiest to make were the starfish, clam shells and pearls. I mixed some lemon extract with luster dust and got to painting. I took a step back and....."Oh my gosh, did I really just create realistic looking seashells!???" 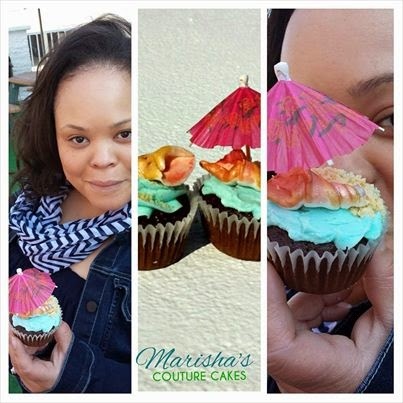 I let these completely harden for a couple of days and went on to prepare my beach-themed cupcakes. 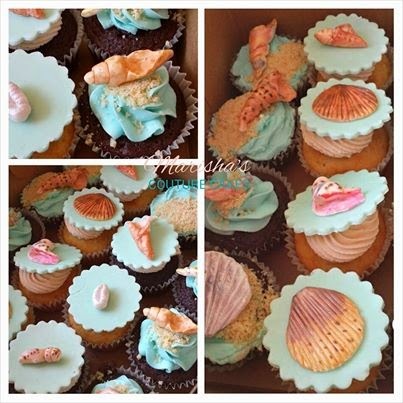 The seashells made the absolute perfect toppers for the cake and cupcakes. 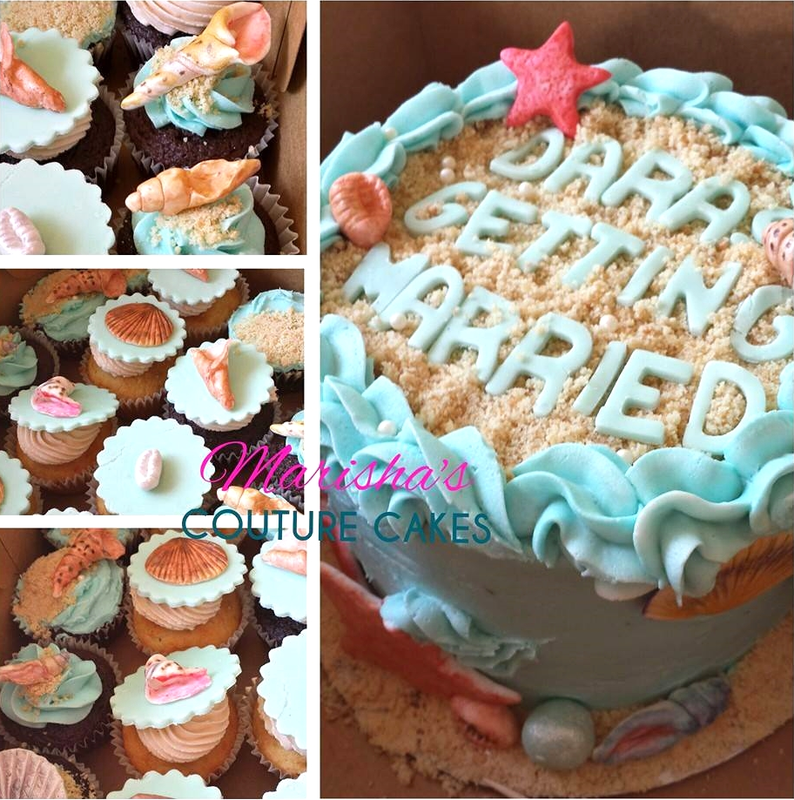 They added so much festivity to the cake and the shades of pink, purple and brown really complimented the blue. They were a HIT. I fell in love with these cupcakes and look forward to making more. These will be listed on the new menu page, so you'll be able to have some of your own!